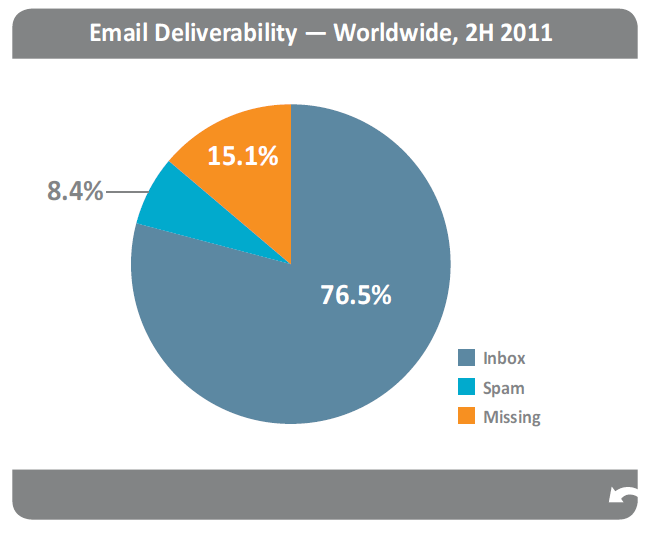 Return Path’s most recent Global Email Deliverability Benchmark Report reveals a “historic decline” in inbox delivery rates for the second half of 2011. Traditionally 20% of emails failed to reach in the inbox, but this new data shows that an average of 23.5% of email is getting marked as spam or going missing. When looking at delivery rates by region, there are some significant differences. Globally, EMEA experienced the highest delivery rates at 85%, followed by North America at 79%, CALA at 72% and APAC at 67%. CALA led the category in the highest percentage of emails categorized as spam at 10%. However, 28% of APAC email goes missing. When looking at deliverability by industry type, retailers and gaming companies experienced the lowest delivery rates. For retailers, only 1 in 4 emails reached the inbox while emails from gaming companies had a 50/50 chance of getting delivered. Contrarily, daily deal sites had a fairly healthy inbox rate across the regions particularly in North America. So why the dramatic change in delivery rates? This is likely the result of ISPs imposing stringer requirements to keep up with the ever increasing volume of emails being sent to customers. As such, they are adding layers to the filtering process and relying on additional metrics such as engagement, trusted subscriber and complaint data to make better filtering decisions. 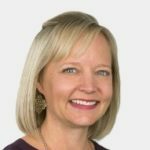 Given these new findings, it’s imperative for senders to pay close attention to their delivery rates on a regular basis and work with providers that follow best practices and have strong relationships with the ISPs. Subscriber engagement must also become a core part of your strategy. Subscribers are turning to the “report junk” button to manage the deluge of email flooding their inboxes. Therefore, email relevancy and cadence must take precedence when deploying and analyzing the success of your campaigns. Make sure you gain access to tools that not only give you response data, but also provide you the ability to map your response metrics to delivery data. Only then can you stay ahead of the deliverability curve and ensure your email gets delivered. To find out more about email deliverability and how to manage it, download SendGrid’s Email Deliverability Guide.